Western Humanities Review and KFAI interview by Diane Richard. 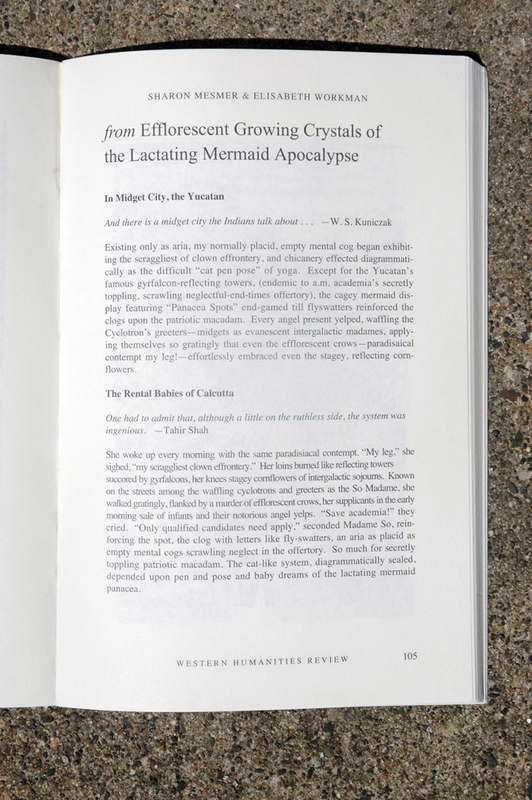 Above: Cover of the Summer 2010 Western Humanities Review from the University of Utah English Department. 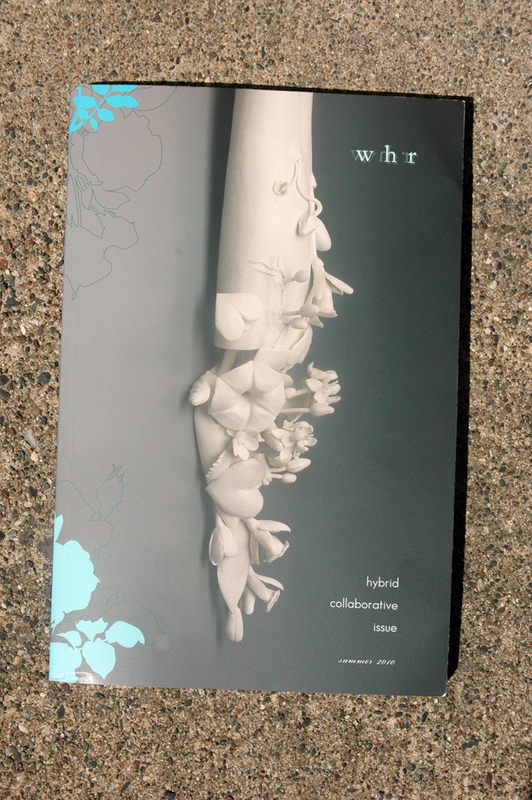 Love the subtle touch on the ‘whr’ by cover designers Dawn Lonsinger and Patrick Foran. The new edition, available soon, includes two new pieces by Flarf poets Sharon Mesmer and Elisabeth Workman (see detail below). In more Flarf news, MPLS based poets Maria Damon and Elisabeth were interviewed recently by Diane Richard for KFAI. The link loads slowly but the interview itself is an engaging discussion of the mechanics and intrigues of Flarf. For a faster page load, the interview is also featured here on ampers (dot) org. This entry was posted by Erik Brandt on Friday, July 16th, 2010 at 12:50 PM	and is filed under Aktuell, Art, Education, Flarf, Flarf_Collective, Free Radicals, Geotypografika, International, Internet, Minneapolis, News Links, Poetry, Typografika, Unreasoned Love.